Are You At Risk Of A Heart Attack Or Stroke? How Much Caffeine’s In Your Coffee? High blood pressure and raised cholesterol frequently occur together as a result of metabolic syndrome. If you have a raised cholesterol and wish to lower it using non-drug approaches, many supplements can help, including plant sterols, beta glucans, Bergamot orange, garlic, lycopene and red yeast rice extracts. If you are taking a statin and it is not working as well as your doctor would like, these supplements can usually be taken together with the statin, to boost its effects, as they work through different mechanisms. 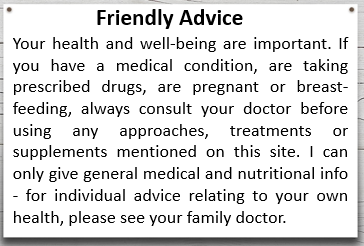 However, do get the permission of your doctor before taking any supplement if you are on any prescribed medications. Plant sterols block the absorption of cholesterol in the intestines without being significantly absorbed themselves. This reduces the amount of dietary cholesterol you absorb, and also blocks the reabsorption of cholesterol secreted into the intestines from your liver, via the bile duct. As its absorption is blocked, most cholesterol is voided, along with most of the plant sterols. Following a plant-based diet which is naturally rich in sterols can lower levels of LDL-cholesterol by around 12%. According to a study in the American Journal of Clinical Nutrition a healthy diet can provide a moderate plant sterol intake of 459mg per day, so supplements are needed to provide the doses on which health claims are based. Plant sterols can be combined with statin therapy to lower cholesterol levels even further. One study found that adding plant sterols to statin medication was more effective than doubling the statin dose. Significant improvements in cholesterol balance are usually seen quickly, with 2 to 3 weeks. Oats and barley contain a type of soluble fibre, called beta glucans that have a direct effect on the liver to lower cholesterol production by increasing cholesterol conversion to bile acids. Beta glucans also reduce cholesterol absorption. Overall, A daily intake of at least 3g oat beta glucan can lower total cholesterol and LDL-cholesterol by 5% to 10%. Bergamot orange contains antioxidant polyphenols which block the absorption of cholesterol from the intestines. One study compared the effect of bergamot extracts against a statin. After 30 days treatment, total cholesterol levels fell by 31% in those just bergamot extracts, compared with a 30% reduction in those taking a low dose statin. A combination of low dose statin plus bergamot reduced cholesterol levels by 37% – equivalent to increasing the statin to a high dose. Cholesterol balance also improved, with ‘good’ HDL-cholesterol increasing and ‘bad’ non-HDL cholesterol falling. No significant changes occurred with placebo. Lycopene is the red, carotenoid pigment which gives tomatoes their vibrant colour. Taking lycopene at a dose of at least 25mg per daily can reduce LDL-cholesterol by 10%. Lycopene also has beneficial effects on blood pressure. Garlic provides a powerful antioxidant, allicin, which lowers cholesterol production in the liver. Garlic extracts can lower total and LDL-cholesterol by 10% after two months treatment. Garlic extracts also have beneficial effects on blood pressure and, in people with hypertension, can lower blood pressure by 8.7/6.1 mmHg compared with placebo. Red yeast rice is produced when rice is fermented by the yeast, Monascus purpureus. This yeast produces a substance called monacolin K which is chemically identical to the cholesterol-lowering drug, lovastatin. This acts on the liver to suppress an enzyme (HMG-CoA) which is vital for cholesterol synthesis. Red yeast rice extracts often have monacolin K removed to make them legal as food supplements, but other components present also have a cholesterol-lowering action. Studies which compare red yeast rice extracts with statins suggest they produce similar results. The EU has authorised a health claim that red yeast rice supplying 10mg of monacolin K per day contributes to the maintenance of normal blood cholesterol levels. However, some countries consider red yeast rice is a medicine unless its monocolin K is removed. NB if you are intolerant of statins, you could be intolerant to red yeast rice extracts, too. Taking coenzyme Q10 supplements and vitamin D may help to reduce muscle-related statin side effects. QUORA EXPERT – TOP WRITER 2018 Dr Sarah Brewer MSc (Nutr Med), MA (Cantab), MB, BChir, RNutr, MBANT, CNHC qualified from Cambridge University with degrees in Natural Sciences, Medicine and Surgery. 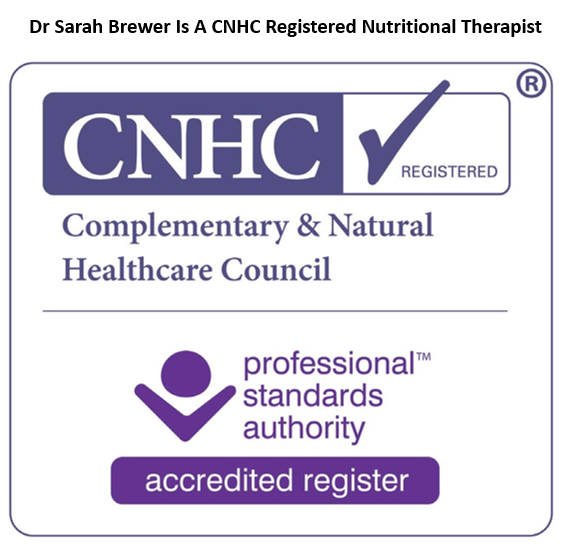 After working in general practice, she gained a Masters degree in Nutritional Medicine from the University of Surrey. 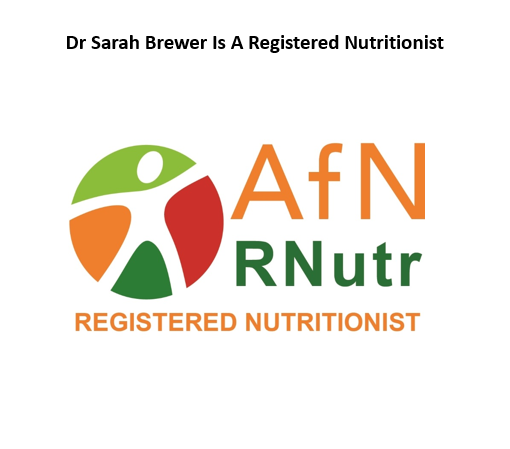 Sarah is a registered Medical Doctor, a Registered Nutritionist, a Registered Nutritional Therapist and the award winning author of over 60 popular self-help books.